This morning just after 10 a.m. Eastern Time, the Supreme Court of the United States declared Texas' House Bill 2 law unconstitutional, in that it places an undue burden on women seeking their constitutionally guaranteed right to abortion access. And the media had one important person on speed dial — the filibustering female from Fort Worth. MSNBC wasted no time, jumping right into an interview with the former Texas state senator to get Wendy Davis' reaction to the Supreme Court decision. 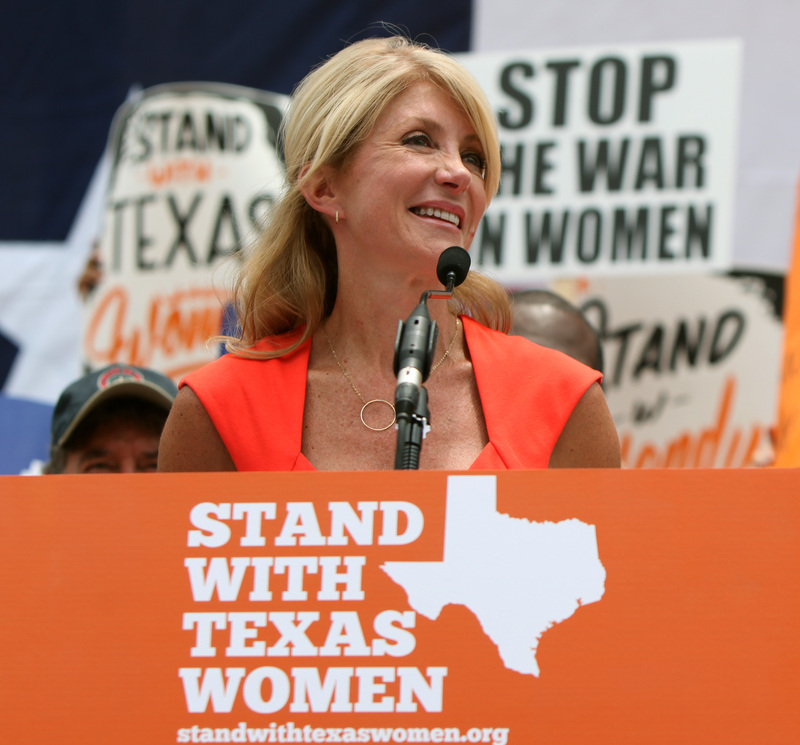 The opinion in Whole Woman's Health v. Hellerstedt is touted as a major victory for the quest for reproductive rights and gender equality and not just because it will allow increased access to reproductive healthcare services in the Lone Star State. This ruling sets a strict precedent that TRAP laws (Targeted Restrictions on Abortion Providers) with no basis in medical fact, like the regulations in Texas's HB2, will not usurp a woman's right to accessing a legal abortion. "I'm overjoyed," Davis began in an interview with MSNBC. "I was fighting back tears a moment ago as I was reading the SCOTUSblog ... It's incredible news for the women of Texas. It's incredible news for women throughout this country." Davis gained the attention of the national media and the internet when she filibustered the Texas State senate for 11 hours in 2013 while rocking some now-iconic pink Mizuno sneakers. I am never stepping away from Texas politics, whether I'm in office or not in office. I've continued to work very hard to make sure that gender equality is advanced in this country. Of course, reproductive rights are an incredibly important part of that, and I could not be happier in this moment talking to you about the decision that we received from the Supreme Court today. She then took to Twitter to share her gratitude for the women who fought for this decision for the past three years. And Twitter thanked Davis right back. That illustration pretty much sums it up, doesn't it?